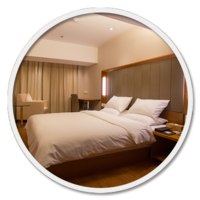 Mandarin Garden has cooperative accommodation services in each city, and can guarantee to provide the quality, the comfortable accommodation service with a high price-performance ratio. Mandarin Garden allows you to enjoy the “wow service” once you step into China starting from the moment you leave the airport, making you feel at home. We provide you with 3 types of accommodation experiences: apartment for foreigners, hotels and homestay. Not only do we have a wide range of choices going from quality apartments to serviced apartments and shared housings, we also have extensive knowledge about the difficulties that can arise when moving to an unknown city where you don’t speak the language. This combination freedom of choice combined with our knowledge makes it possible for us to offer you a place where you will not only feel comfortable, but more importantly enables us to provide you a home away from home. The offered services and facilities may vary depending on apartment and compound. However, we promise to always try and deliver the high quality. All partner hotels are located near the school, which makes commuting to school easy by walking. The hotels are also located at the center of the city, and surrounded by public transportation and subways. The price of our long-term cooperative hotel is really preferential, and those hotels are newly decorated. Hotel accommodation is suitable for short-term students. The best way to travel in China is definitely with our Homestay system that allows you to enjoy the true experience of Chinese culture. Come visit the most talked-about and dynamic country in the world! Our host families have many years experience in hosting guests for both short and long term stays.All of our host families are screened by our staff to ensure a friendly and safe environment close to convenient transportation lines! Are you excited but also worried about coming to a strange country to learn Chinese? 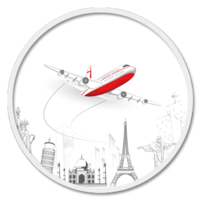 Before departure, our course consultant will help you arrange the airport transportation service according to your requirements, and there will be an experienced driver waiting for you at the airport. Luxurious and comfortable cars with nice and clean compartments will be well prepared for you. Please be assured and give your luggage to the driver, and they will take you to school or where you will be lodging safely. Today, Shanghai has many visa agencies, they charge an extremely high rate and require excess time to obtain a visa, sometimes the applicant may have to conduct an interview, which ultimately may still get refused. Many foreigners spend a lot of time and money to obtain a visa. We provide professional one on one consulting services to guide students through the process of obtaining a visa quickly and efficiently, so that foreigners can begin their exciting adventure in China right away. We are the only officially authorized visa issuance school under The Shanghai International Education Exchange Center, we are a formal education and training institution with a professional team of consultants to provide expats with visa inquiries and services, to help you minimize possible troubles during your visa process. Our school is accredited for offering courses to foreigners. We will send you an invitation letter and an admission letter. Submit these with photocopies of your application. You are not permitted to work on the X type visa. But part-time work and internships off campus may be authorized in the near future. You should contact your university or employer after you have settled in to see what can be arranged. X1 holders shall apply for a Temporary Residence Permit from the local Public Security Bureau (PSB) within 30 days upon entry into China. The temporary residence permit can be issued with validity of 180 days to 5 years. 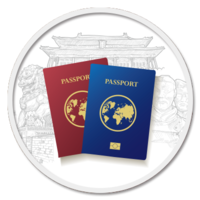 X2 holders shall stay in China within the duration period as indicated on the visa, and it is not necessary for them to apply for the temporary residence permit.